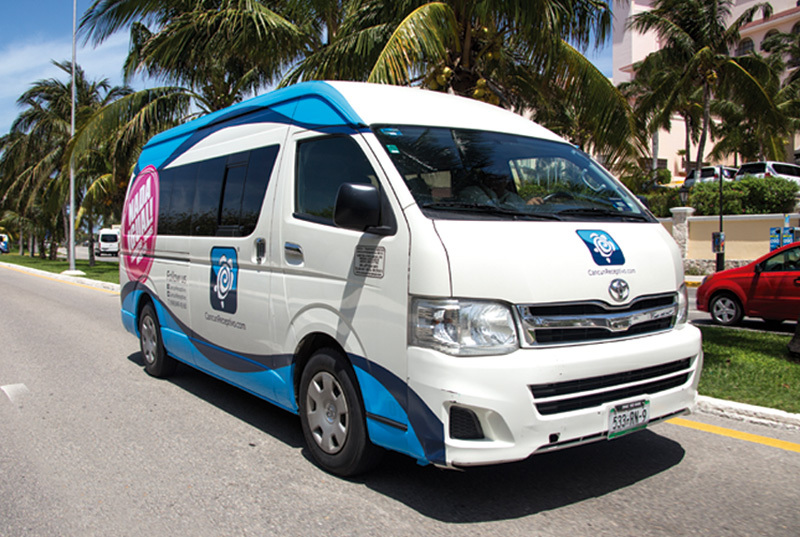 Cancun swimming with the whale shark and free transportation! 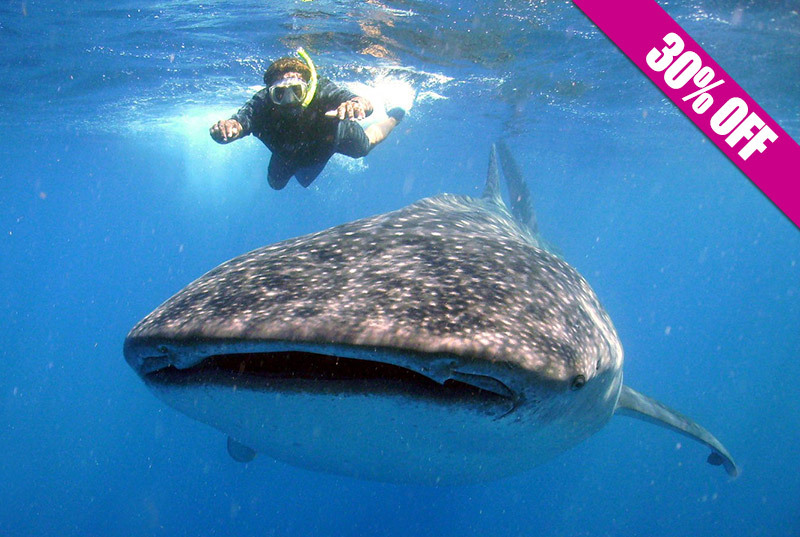 Swim with the whale shark, the biggest fish in the world! Groups of max. 10 people per boat to guarantee personalized service. 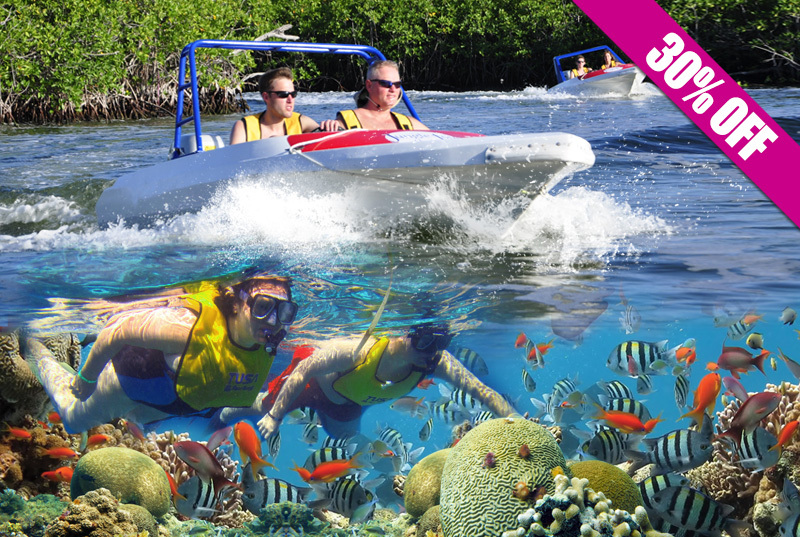 Transportation, english speaking guide, snorkeling gear, light lunch and drinks are included. 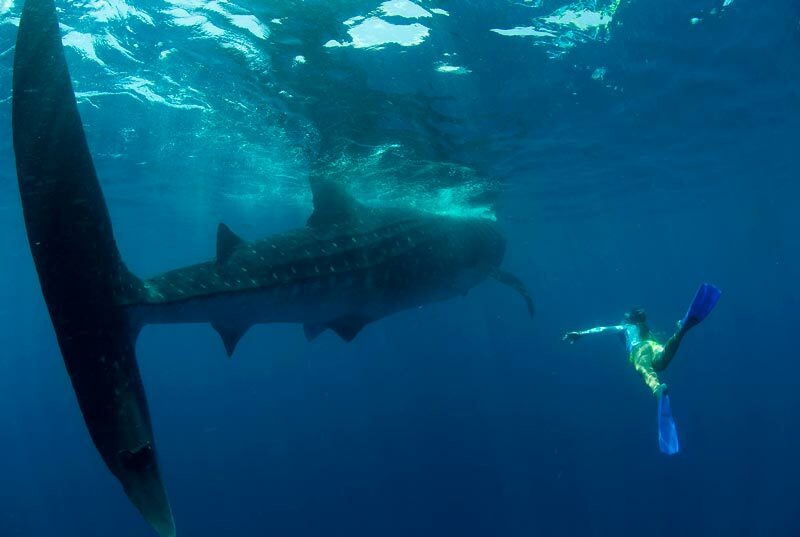 Swim with the whale shark on this amazing guided tour from Cancun, Playa del Carmen or Riviera Maya. 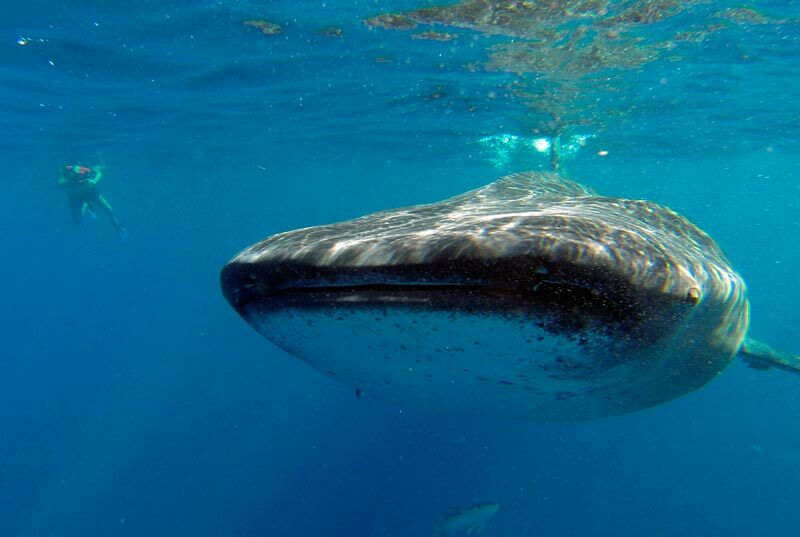 The whale shark season in Cancun is from May, 21th to September, 15th. Admire whale sharks of over 15 meters long and amaze yourself watching how calm they are. 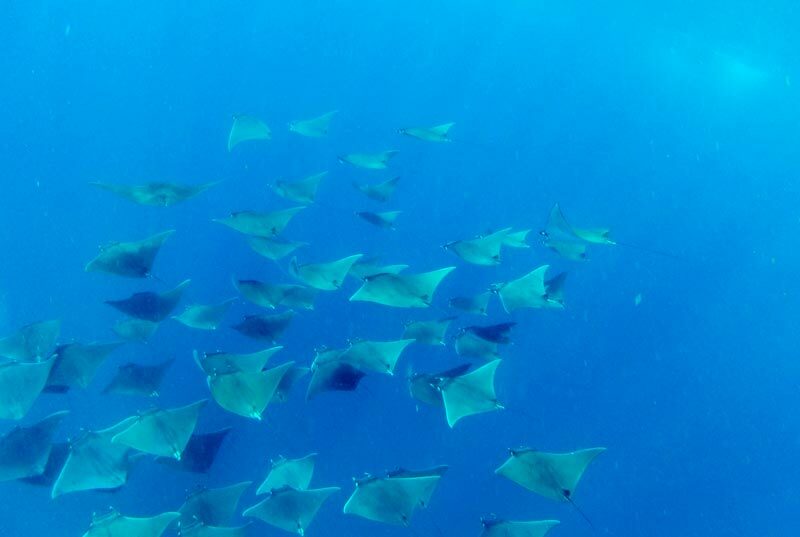 On peak season we might find up to 40 docile whale shark at a time floating on the surface. This activity is fun and safe for all ages, and it requires no previous experience! It’s important to mention that whale sharks are not harmful or dangerous to humans. Whale sharks are very calm and docile fish, they only eat plankton (this is the reason they visit us every year). Start this adventure boarding a prompt, comfortable air-conditioned van on your hotel’s motor lobby, which will drive you to the marina for your check-in and briefing. 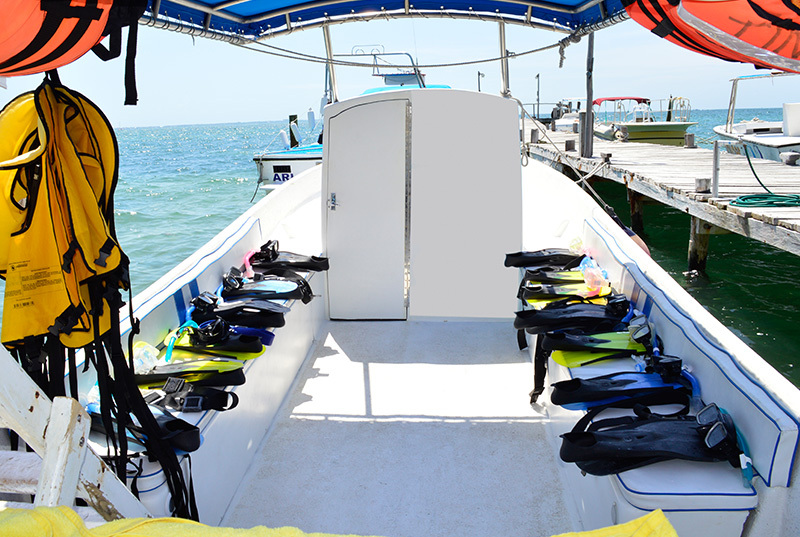 During the briefing, you’ll get outfitted with a complete and professional grade set of snorkeling gear (mask, snorkel, life vest, fins), and learn how to wear it properly with help from the staff. You’re allowed to bring your own gear if you want to. 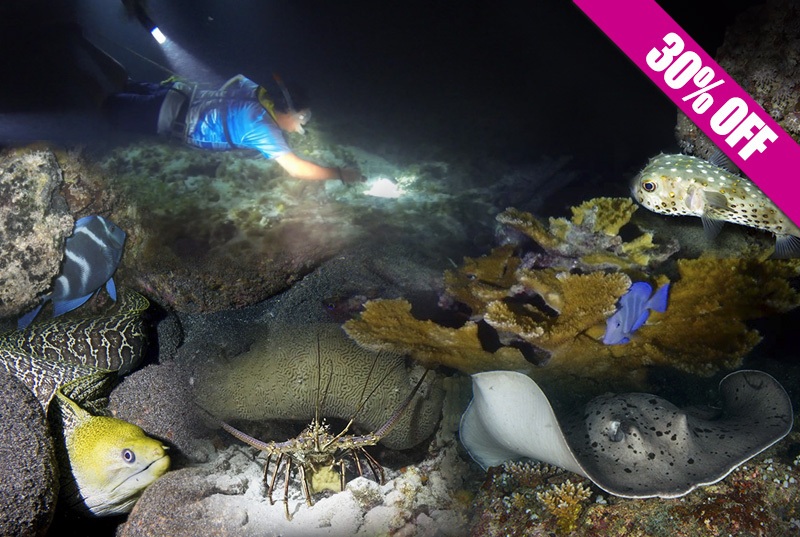 Our guides will give you interesting information and facts about the whale sharks biology, environment and behavior. We’ll also talk about what to expect and do’s & don’ts, to guarantee an enjoyable and safe tour. Freshly brewed coffee, fresh fruit, and pastries are offered before boarding the boat. Once at the whale sharks' spot, we will slip into the water two people at a time, to snorkel with the 20-40 ft long beautiful whale sharks. Of course, you'll be always supervised and helped by your guide. 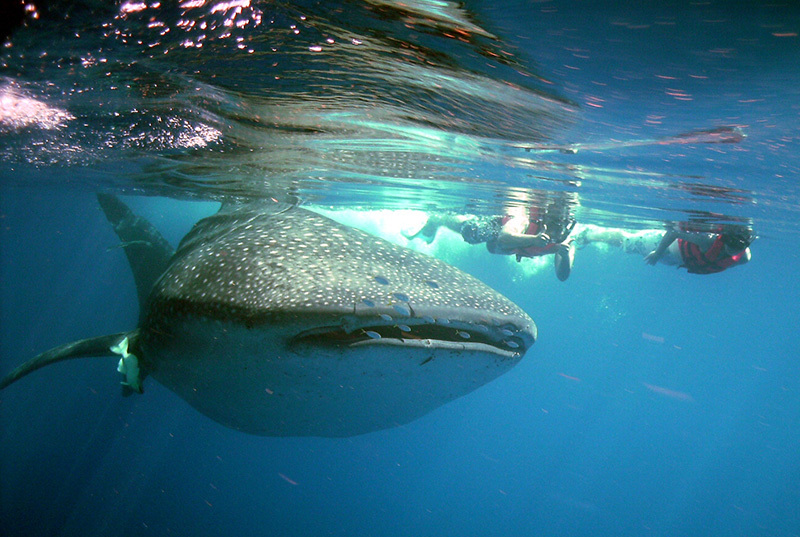 Swim with the whale shark with no time limit. However, we recommend 2-3 dips per couple, which are more than enough to enjoy the experience. 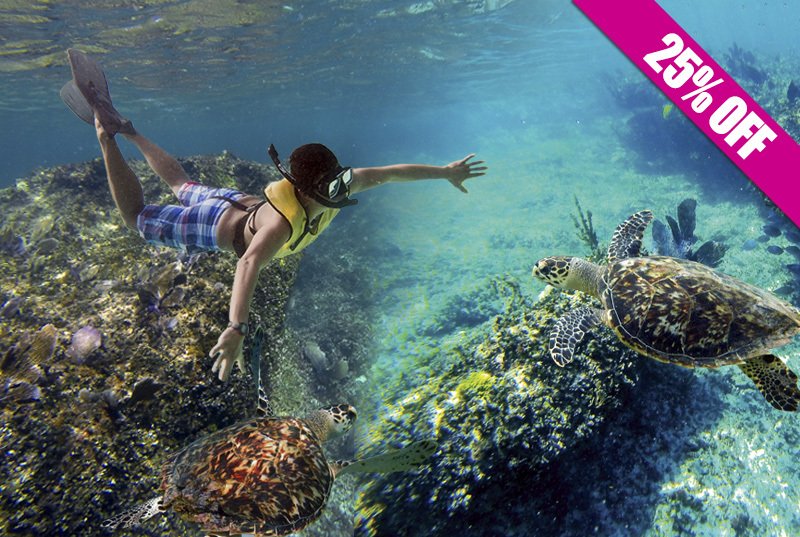 Before returning to Cancun, we’ll stop at the world famous Playa Norte, Isla Mujeres. Perfect to take lunch while sharing your experience with the rest of the people in the boat. Groups of max. 10 people per boat to guarantee personalized service. 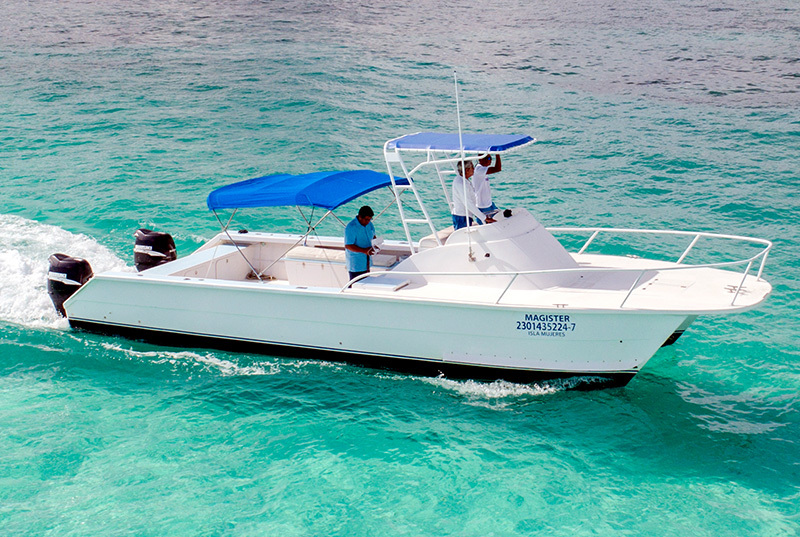 Our 32 ft. boat will offer you a smooth and gentle ride even in choppy waters (bathroom on board). 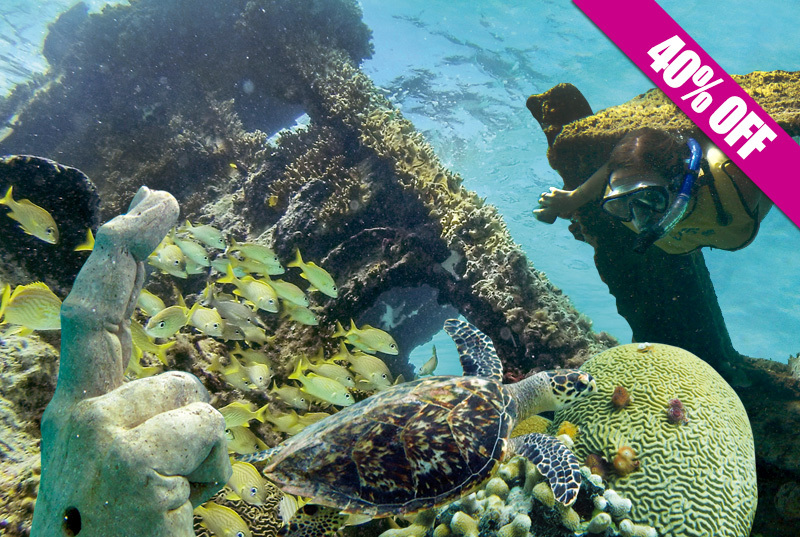 Transportation, English speaking guide, snorkeling gear, light lunch, and drinks are included. Swimming with the whale sharks in Cancun is a once in a lifetime experience! Book now, there's limited availability! Round trip air-conditioned transportation Hotel-Marina-Hotel. Coffee break (juice, coffee, bread, fruit). Boat with English speaking captain and guide. 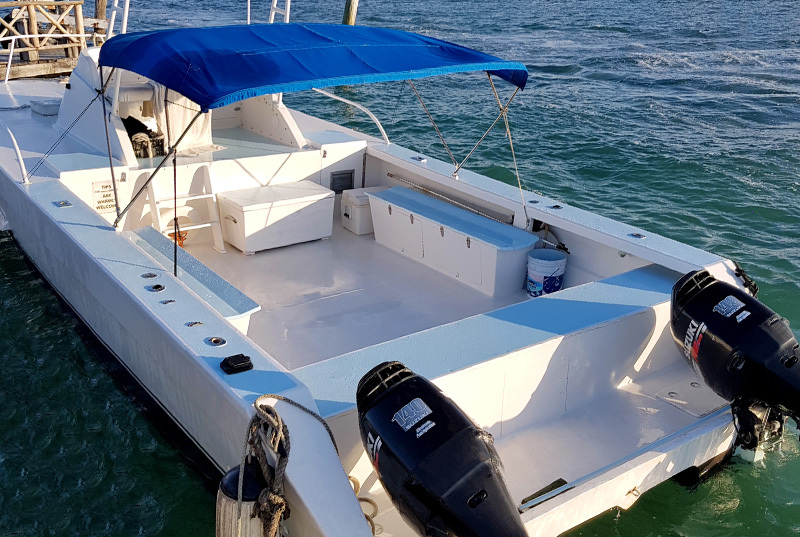 32ft roomy and stable boat with wide dry storage. 2 motors 140HP each. Full Snorkeling equipment (mask, snorkel, and fins). Swim with whale sharks with no time limit. Relaxing stop in Isla Mujeres. Dock fee and National Marine Park tax are not included ($10.00 USD per person). Photo and video service (optional and extra cost). Neoprene wetsuit for rent ($15 usd). Rash to prevent sunburn on sale during check in. Take Motion sickness/dizziness relief at least 1 hour before. Cash for personal expenses and souvenirs. 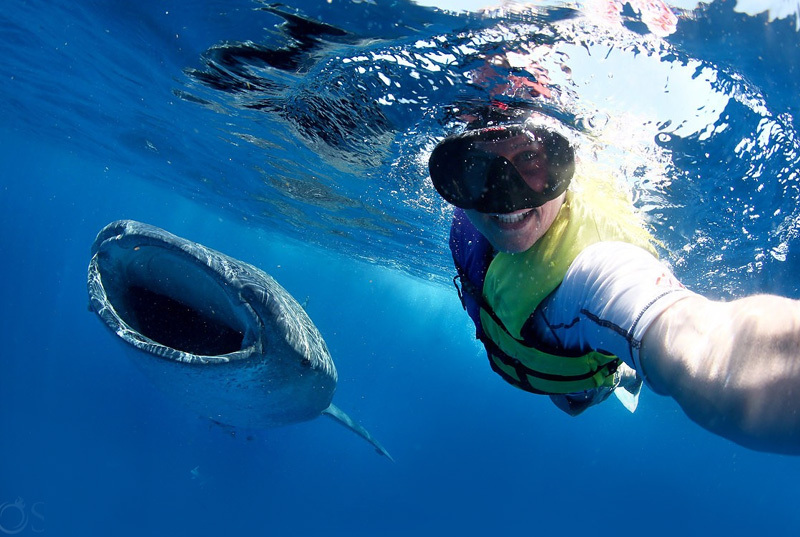 The use of life jacket is mandatory while swimming with the whale shark. In case you rent or bring a full body neoprene wetsuit, you can decide whether to use a life jacket or not.